Today the official trailer of much awaited Bollywood drama Jeena Isi Ka Naam Hai was showcased to fans and media. 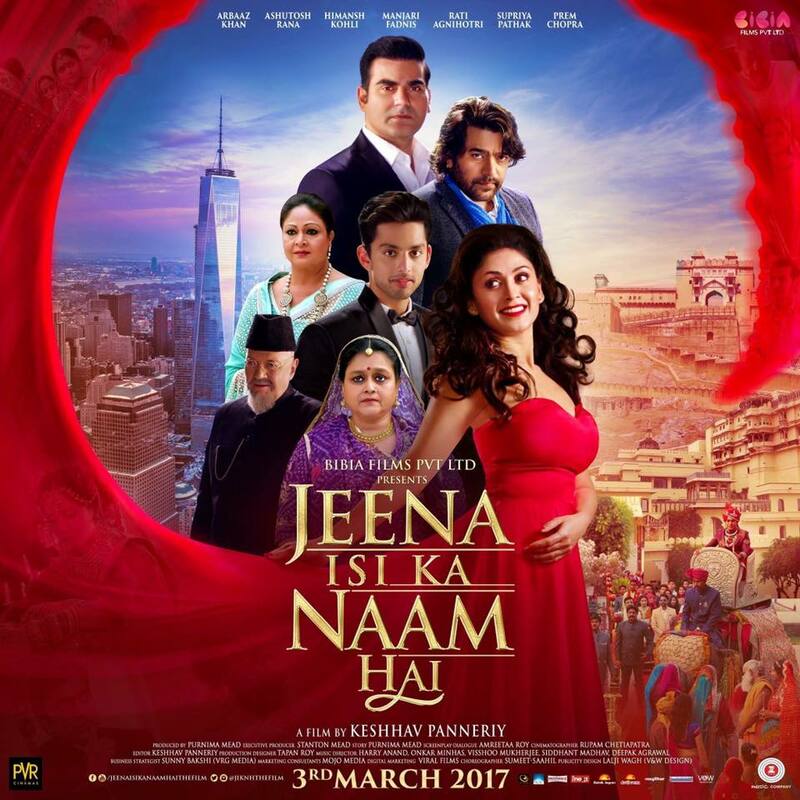 The Star cast of Jeena Isi Ka Naan Hai includes Arbaaz Khan, Ashutosh Rana, HimanshKohli, ManjariFadnis, Supriya Pathak, Rati Agnihotri and Prem Chopra. The movie is directed by Keshhav Panneriy and produced by Purnima Mead under the Bibia Films Private Ltd.
Jeena Isi Ka Naam Hai is a family entertainer with a perfect blend of action, romance and comedy. The storyline is realistic and people of all age will easily be able to relate to the storyline of the movie. The story embarks from a small-town in Rajasthan, weaving itself through Mumbai & then finally culminating in New York. Each character in the film is as diverse and unique in themselves like the flavours of India, which not only adds different slices of life to the film but also exhibits the colourful journey of life. The movie has been shot across various places in India and USA and captures the grandeur of the countries in its true form. The musical teaser and motion poster of the movie are also out and have left a lasting impression in the minds of the viewers. The music of the movie is composed by Harry Anand, Onkar Minhas, Siddhant Madhav, Deepak Aggarwal & Vishoo Mukherjee. The film will release worldwide on 3rd March, 2017.